Once again, it is time for our weekly news round-up, where we put the most interesting stories from the past seven days for anyone who needs to catch up. Last week's most attention-worthy news was the announcement of Sony's latest flagship smartphone, namely the Xperia Z5. Along with it, the company unveiled a smaller version, the Xperia Z5 Compact, and a higher-end model graced with a 4K display – the Xperia Z5 Premium. And there's a lot to like about all of them – from the hardware specs and the camera to the design and build materials. In other news, it looks like the next generation of Nexus devices is coming in just a few weeks. Yes, we said "devices" because rumor has it that two Nexus-branded smartphones are to be announced. An event is scheduled for later this month. Smartphones aside, you should totally check out the line-up of wearables that got announced last week. Among them were the two Samsung Gear S2 models, both powered by the Tizen operating system. And if you're more into Android Wear, perhaps you'll be interested in seeing the new Motorola Moto 360 smartwatch. The wearable's 2015-edition comes in two sizes, and there's a Sport version as well. For more of last week's most interesting stories, flip through the slideshow below! 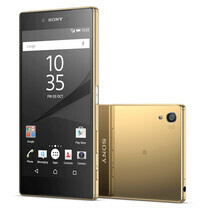 With the well-rounded Xperia Z5, the pocketable Xperia Z5 Compact, and the world's first phone with a 4K display, the Xperia Z5 Premium, Sony certainly has three respectable aces in its sleeve. The three phones draw attention with their glass-on-metal construction, all while winning bonus points for their stereo speakers, water-resistant design, and built-in fingerprint scanner. Plus, that 23MP camera on their back is shaping up as a great one. Google is expected to unveil two new Nexus phones, a regular-sized Nexus made by LG and a phablet Nexus made by Huawei, at an official event. The announcement should take place in San Francisco on September 29th. According to leaks and rumors, both phones will have dual front-firing speakers, a fingerprint scanner on their back, and both will use the new reversible Type C connector. This new generation of Samsung smartwatches comes powered by Tizen rather than Android Wear, but probably the biggest highlight is the option to buy the watches in a 3G-enabled version, where you can put your own SIM card and use the watches independently from your phone. And yes, the rotating bezel is indeed real: just rotate it to navigate around the menus. The new Moto 360 (2015 edition) and Moto 360 Sport were announced last week. The former retains the same circular form and ‘flat tire’ display, but adds two sizes (yes, a smaller one is now available as well) and an easy-swap mechanism for the bands. Meanwhile, the Moto 360 Sport comes with a built-in GPS, so that the watch can accurately measure your workouts including speed and distance. In addition, you get an optical heart-rate monitor. The latest Motorola Bounce leak tells us to expect a phone with a 5.43" Quad HD display, a Snapdragon 810 chipset, 3 GB of RAM and 32 GB/ 64 GB storage, as well as a hearty 3760 mAh battery. Oh, and that screen is expected to be shatterproof. The Mate S's stand-out feature is its pressure-sensitive display – the panel distinguishes between a light tap or a harder press. It has a very good screen-to-body ratio and a 2.5D glass AMOLED screen panel, waterfalling seamlessly to the sides, where the Mate S is just 2.6mm thin. The display is with a 1080p resolution, and the phablet is powered by Huawei's newest Kirin 935 chipset, coupled with 3 GB of RAM. Several days ago, Samsung teased a new tablet – one that has an extra-large display, apparently. The exact diagonal size of the device isn't known, but we could be dealing with the 18.4-inch monster that has been rumored for a while.